Raise your hand if you want to use the best Instagram tools to get more Instagram followers, track your Instagram analytics, and improve your Instagram grid. I mean, yes please, right? 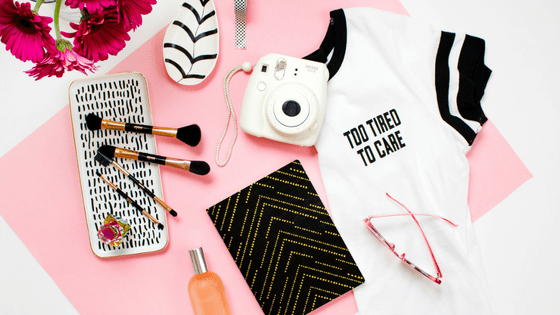 Luckily, these Instagram apps and Instagram tools are here to save the day. This is what I use to make awesome pictures and graphics, and to track and plan my Instagram feed. Start using these Instagram tools and you're on your way to a better Instagram! You can also read my post on How to Get 1000 Instagram Followers right here (with a free guide!). But for now, let's talk about the best Instagram tools and the best Instagram apps! This post may contains affiliate links. This means that if you click a link and make a purchase, I may receive a small commission. There is no extra cost to you for this and I only recommend products that I use myself and love. Thanks for your support! You need to have 30 great hashtags on every post. It's pretty much the only way to get seen. But finding hashtags is hard. That's why I use (and love) Zoe Linda's Hashtag Database. It's got thousands of hashtags for all different niches. I'm a serious fan. Finding Instagram hashtags is easy with this database, and you don't even need an Instagram hashtag app. You may know Tailwind as a Pinterest scheduler, but it's also a great Instagram planning app and Instagram auto-posting app! Tailwind has a few great features for Instagram. First, Tailwind will tell you when the best time to post on Instagram is with its “smart schedule.” Just tell it how many times per day you want to post, and it will analyze your account and generate the best times for you to post every day of the week. 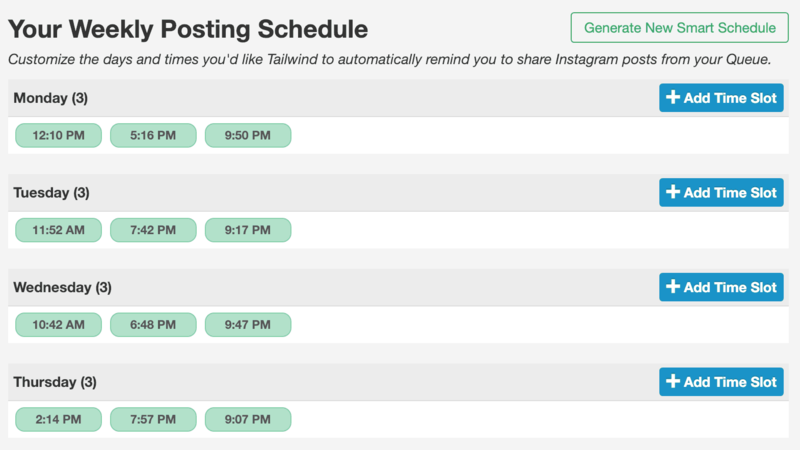 Next, Tailwind allows you to plan your posts ahead, and will even auto-post for you (if you want). You can upload your photos, add your captions, and even create hashtag lists so that you can add all 30 hashtags with one click, rather than copy-pasting them in from somewhere else every time. If you set it to auto-post, it will post automatically for you. If not, your photos will be all queued up for you to post whenever you want. Last but not least, Tailwind has great analytics that will tell you how many followers you're gaining, and what posts are doing best. You can filter the data in all kinds of ways, so you can see what your most liked posts are, your most commented posts…you get the drill. Tailwind is a GREAT Instagram tool. 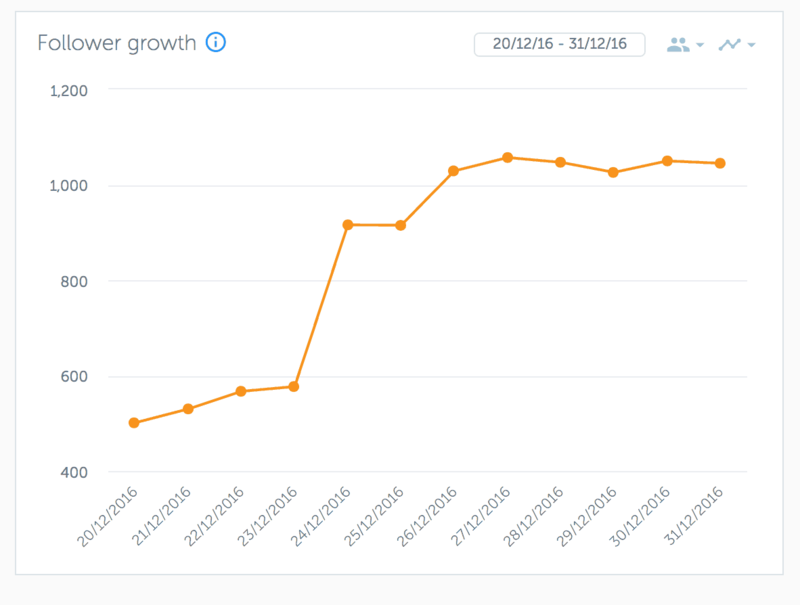 Iconosquare is the ultimate Instagram analytics tool. It tracks basically everything (except followers, which it recently stopped doing because of Instagram policies. Boo). But it does track your Instagram follower counts, how much you post, your Instagram engagement rate, the best time for you to post on Instagram…all that good stuff. It's super useful and I use it pretty much every day. You can also use it to schedule your posts. You can also search for “influencers” based on a wide variety of factors. And, you can use it to create an Instagram widget or add an Instagram feed to your Facebook page. I'm a little obsessed with Word Swag. 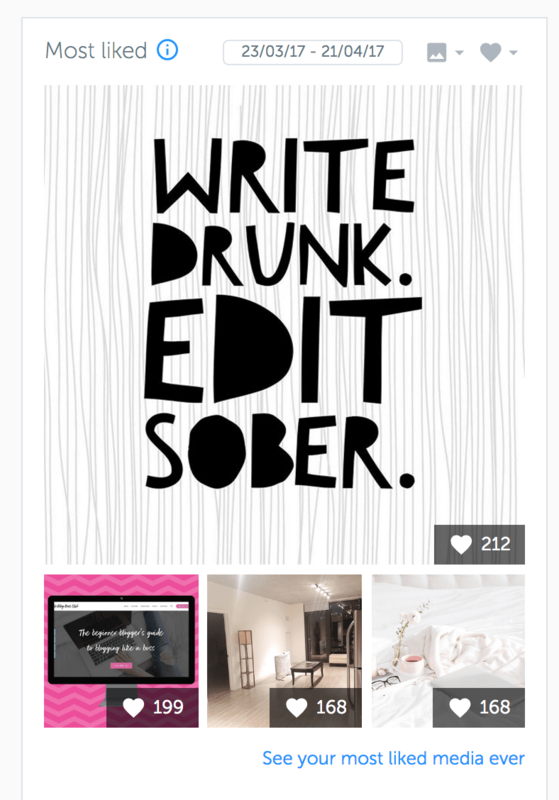 It allows you to put Instagram quotes into pretty fonts and onto pretty backgrounds. It's just really fun. You can use your own quotes, or ones that it'll suggest for you, and you can use your own photos or a choice of stock photos that it has. Love it. Great Instagram app for sure. 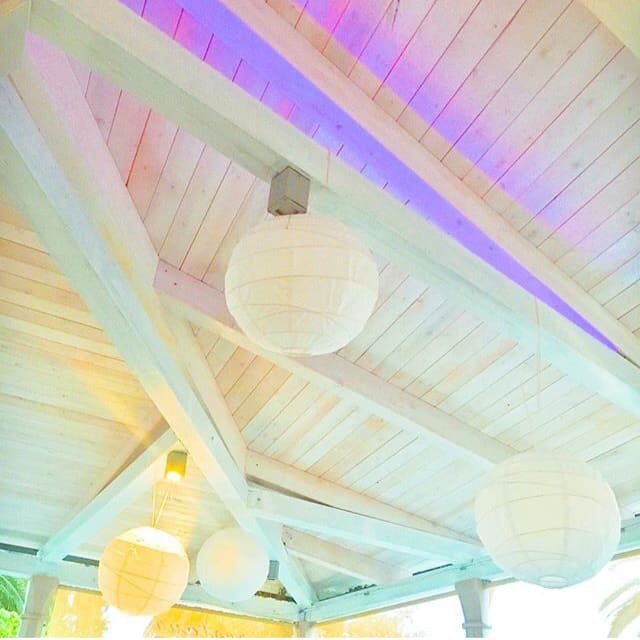 A Color Story is my favorite photo editing app. The filters are just awesome, you can create some really funky looks and add lots of color and light, which is my thing on Instagram. Or you can not make everything hot pink and bright and make actually good photos. But I like the crazy filters the best. Seriously, though, it's a great Instagram app for editing Instagram photos. 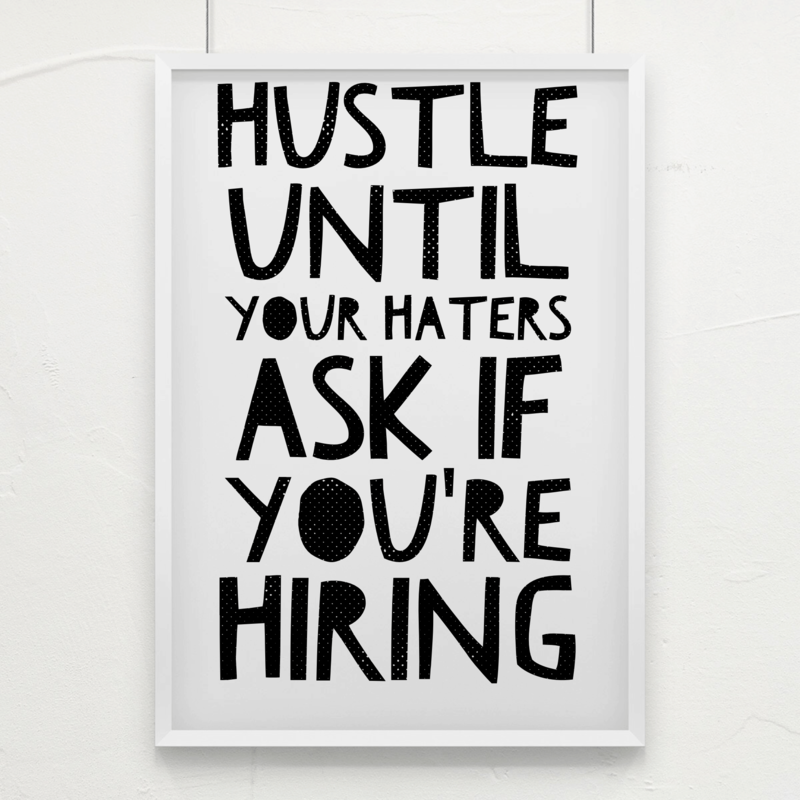 Oh, Canva. I've written about Canva before. 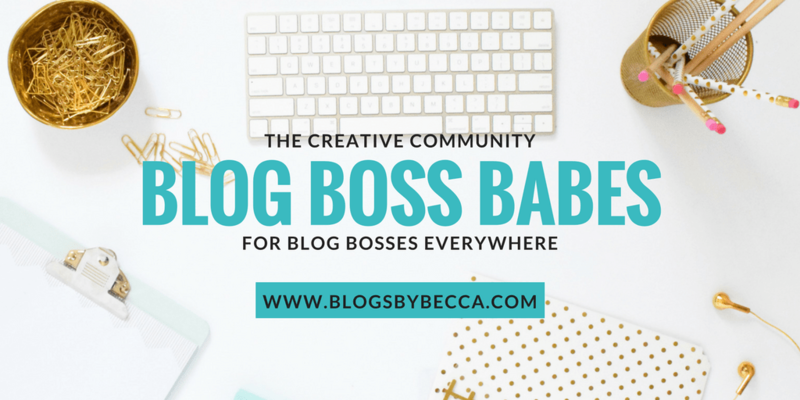 I use Canva for all my graphics and I love it. It's SO easy to use, it's saved my life many a time. I truly don't know what I'd do without it. Cheers to Canva, it's a great Instagram tool. VSCO is another photo editing and filtering Instagram app. It's very popular, and has some really good filters. I use it more for editing and leave the filters to A Color Story, personally, but lots of people use it for everything. Ok, one more editing app. Facetune is awesome because it can fix tiny little details like making your cat's eyes brighter (or cooler things than that). I use it for the little stuff. Layout is an app to make those collages that you always see. There are about 1000 apps that do this, and they all pretty much do the same thing. But, I like Layout because it's the official app from Instagram. Quik is Go Pro's super cool video editing app. You can put photos and videos together really easily, add music and transitions and you have yourself a nice little video montage. It's not made to make 2 hour movies, but for a 60 second Instagram video, I love it. Boomerang makes those like 4 second videos you see of like an ocean wave going in and out or a kid waving. That's all it does. 4 second videos that go back and forth and back and forth. But if you need that in your life (like I do), then Boomerang is where it's at. Also an official Instagram app. It's the best for making Instagram gifs out of your own videos. Finally, we've got Over. Over is kind of like Word Swag, but it also has a built-in library with tons of cool quotes and words on funky backgrounds. So if you don't feel like coming up with your own brilliant quote, go for Over. 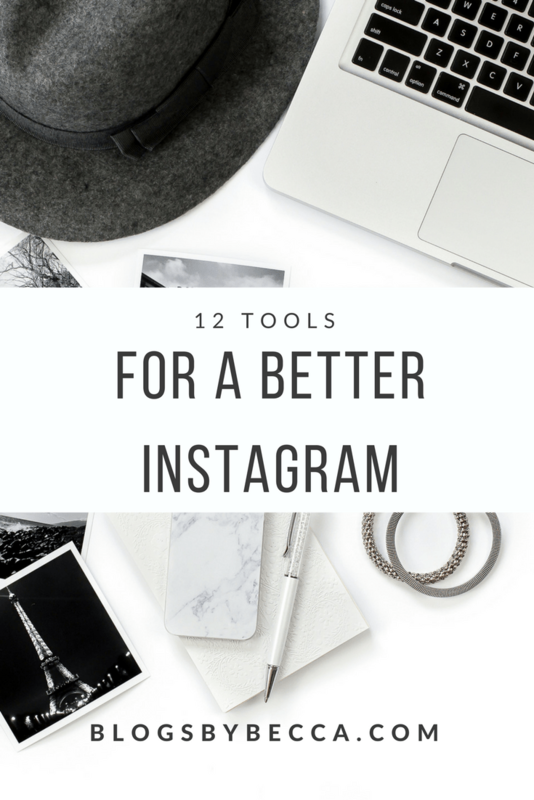 So, these are tools you can use for a better Instagram. I know my feed has gotten way better (and I've gotten way more followers) since I started using these Instagram tools and Instagram apps. Try it and let me know how it goes! Glad it was helpful! Good luck on Instagram! Thank you for sharing, really appreciated. This is very useful. 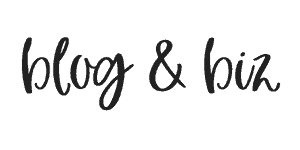 Canva is my fav too ?? I’m a huge fan of Canva. Thank you for this complete list of tools. I have one recommendation for you: socialinsider.io: http://www.socialinsider.io. It’s help you track & monitor up to 50 Instagram profiles & hashtags. Check it out! Hello! Great article, thank you for useful information! Yep, Afterlight is good app. May I ask you? How many hashtags in average do you use in your posts on Instagram? Glad you liked it! I usually use 30 hashtags (the max limit). What do you suggest for taking great photos then, since you mentioned you’re not much of a photographer? How do you come up with things to photograph? My life is fairly boring, I stay at home with my son and work on my computer all day. Not much to photograph, lol. And light inside my house is terrible. Suggestions? 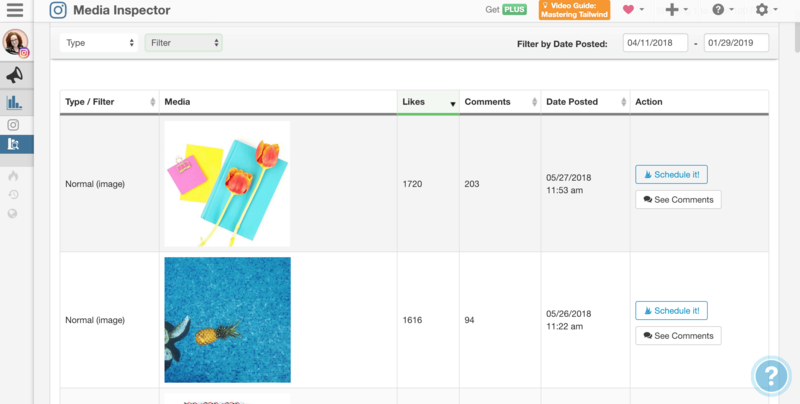 I would add one more tool for Instagram analytics – Snoopreport https://snoopreport.com as it tracks Instagram user actions as likes, comments and follows. It will help to research user insights and update a marketing strategy. I love FaceTune (hehe!) also really find that the Plann app is super helpful for planning out the way my grid looks in advance, checking analytics and scheduling Stories so I don’t forget to post!